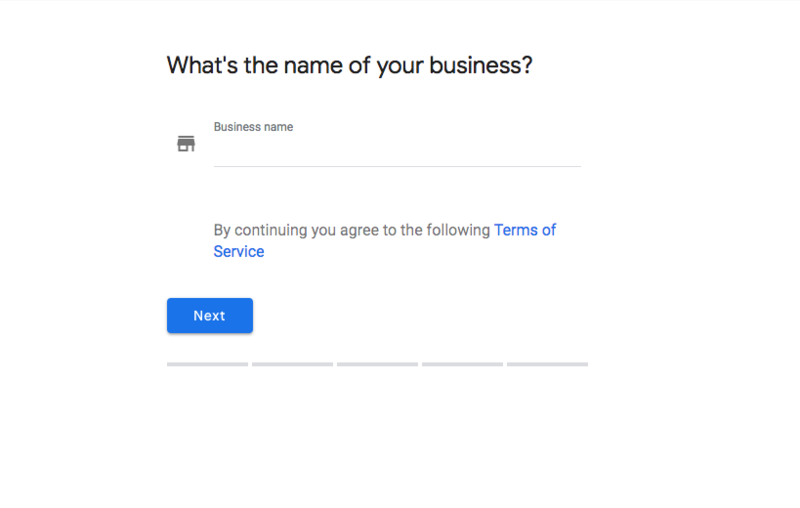 What Is “Google My Business” Page ? Google My Business is essentially Google’s business listings. 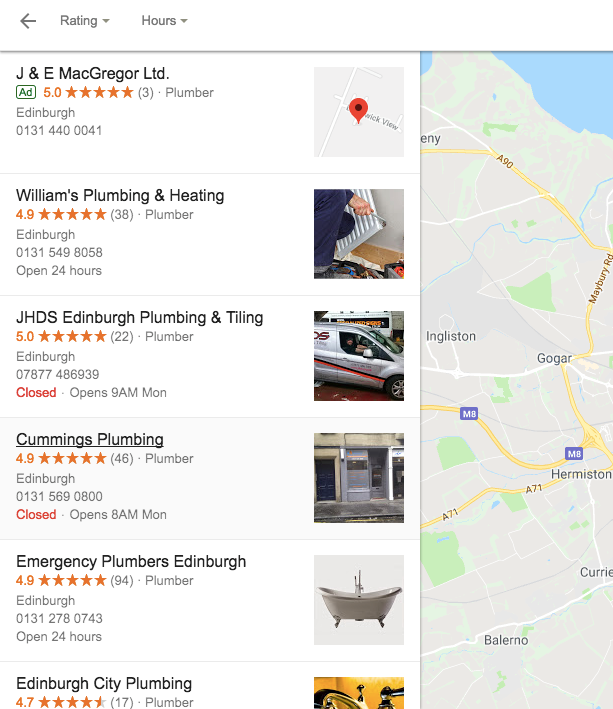 By having a Google My Business page you can show up in Google map results and grow your local business presence in your relevant area. 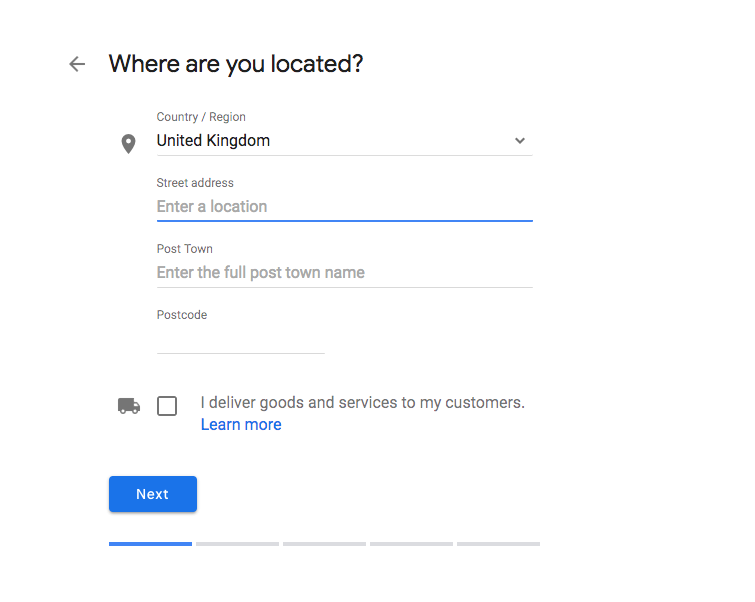 Why Do You Need A Google My Business Account ? Allows vital business information to be shown for example opening hours, address and phone number. 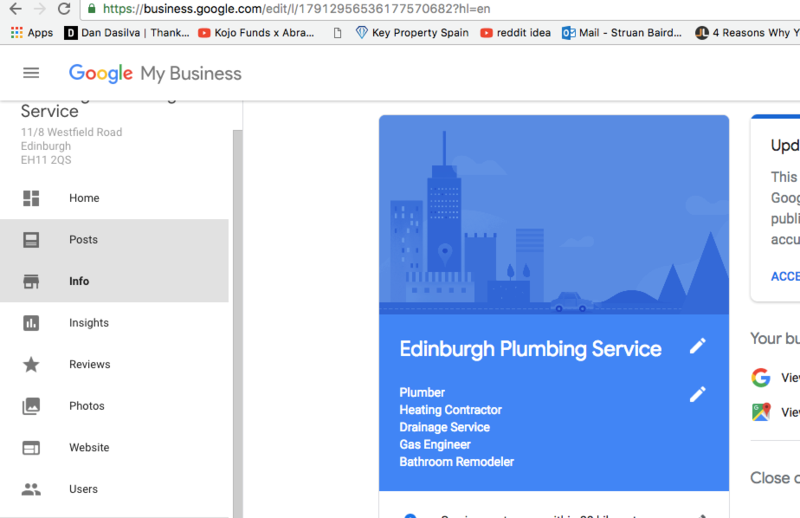 How Do You Set Up A Google My Business Account? 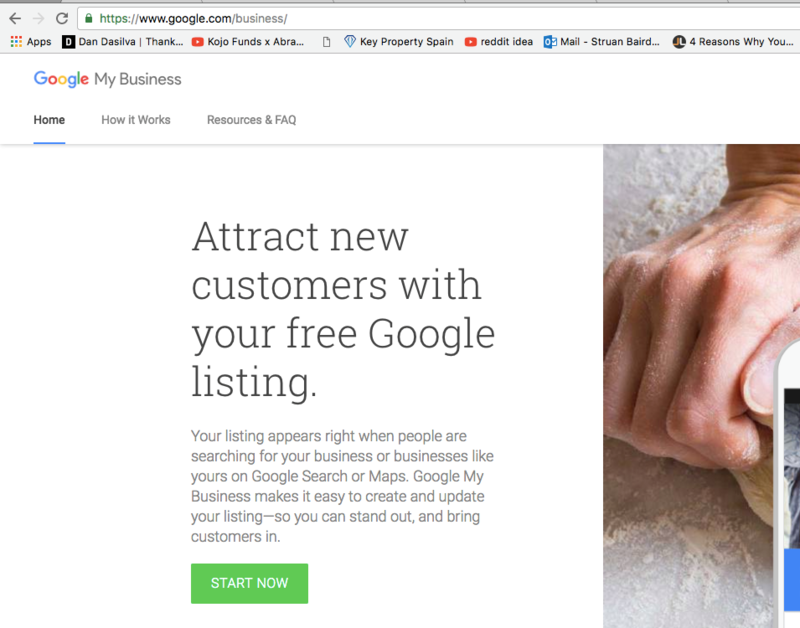 A Google My Business listing is completely free and easy to set up. Once you have set up your Google My Business account, you need to verify the account. Login into your account, click “verify now” and enter the verification number. 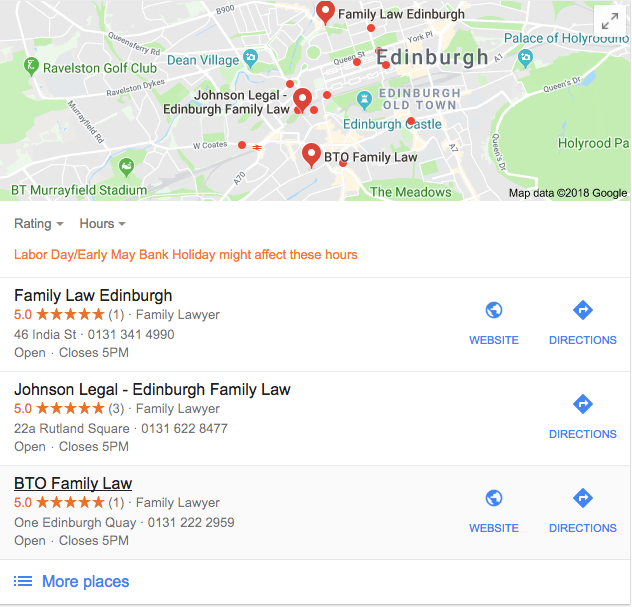 How To Improve The Visibility Of Your Google My Business Listing ? Fill out all the vital company information like address, opening hours, special hours, phone number, website url, services, payments, business description and opening date. Firstly I would always avoid using stock photos in your account and instead use real photos of your business, location and workers. This is better for SEO purposes and secondly makes your business more lifelike for potential local customers. Use the photo category options. 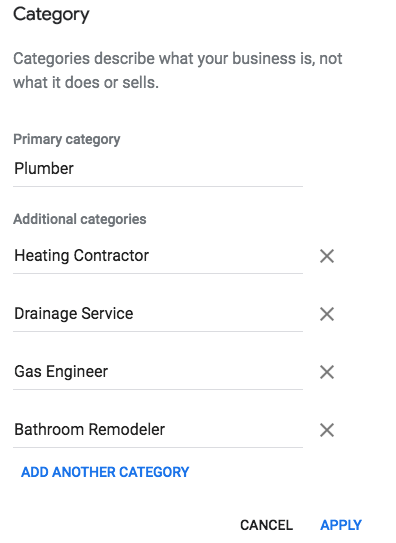 Google rewards well filled out accounts and having lots of photos which are categorised into the Google My Business photo segments shown above is an important part of this. 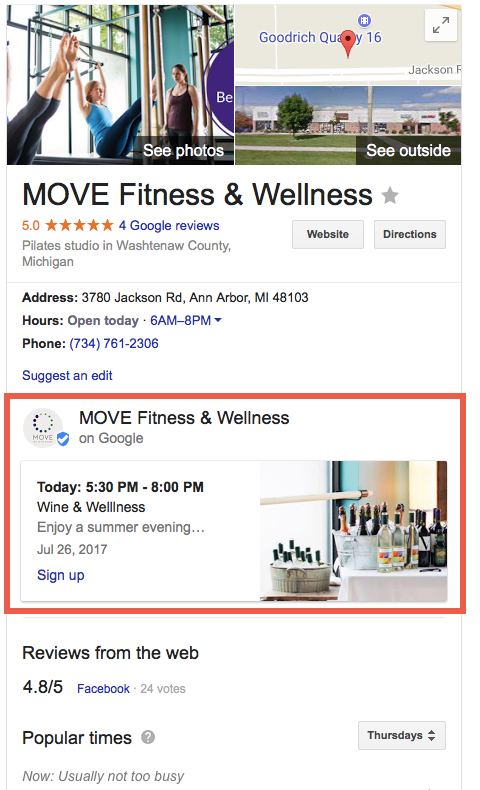 Google posts allow businesses to write about new events, news, products and general business on goings. You can then link from these posts to the specific news, event or product you are referring to in the post. Google posts appear in the knowledge panel on the right hand side of search results. 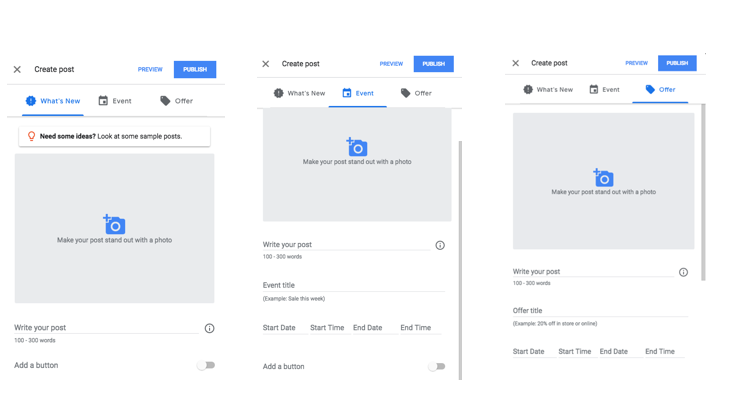 Why Use Google Posts ? Posts can help drive traffic to your website. Writing a post is easy. Firstly login into your Google My Business account and navigate to the left hand option menu. To fully optimise the post you should add 100-300 character description. A image with the dimensions of 800px x 600px and a call to action button. 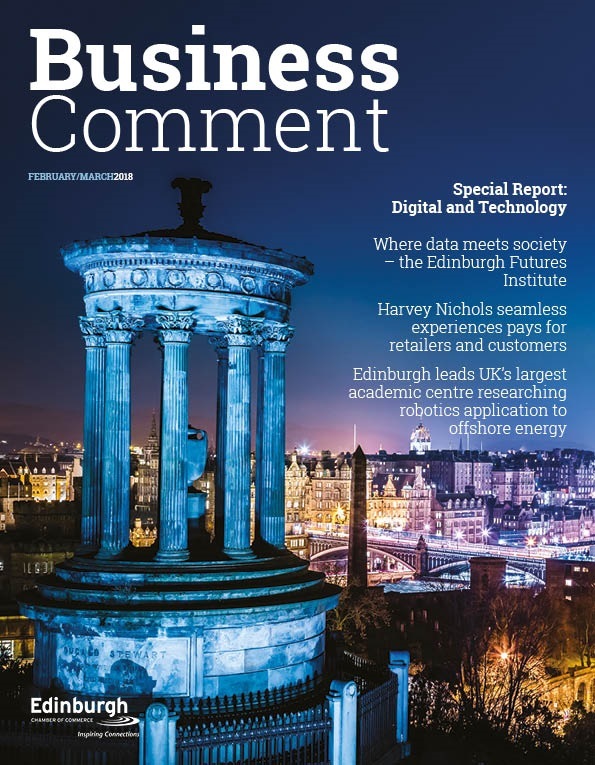 Reviews are important because they are a ranking factor in map results and also positive reviews encourage potential customers to trust your business. A lot of people take the number of positive reviews seriously when deciding to call a company from an online search. It is of the upmost important to fill out as many of the information segments as possible. The correct business address, phone number, opening times and URL are the bare minimum that should be filled in. The more information you can give, the better chance you have of gaining high map rankings. To fill out the information segments, click the info button on the left-hand navigation bar. Once you have navigated to the information tab, you will see the options screenshotted on the left hand side. You should be able to fill out most of these options depending on your business type. The info tab gives the option to add the services your business provides and to add a description about each service. We highly suggest adding each service your business provides because as we have mentioned before the more information you provide in you’re my business account , the better chance you have of increasing map visibility. It is imperative you add the item name and you have the option of adding a price and a 1000 character description. We recommend adding the 1000 character description for each service but the price is very much down to your business model. 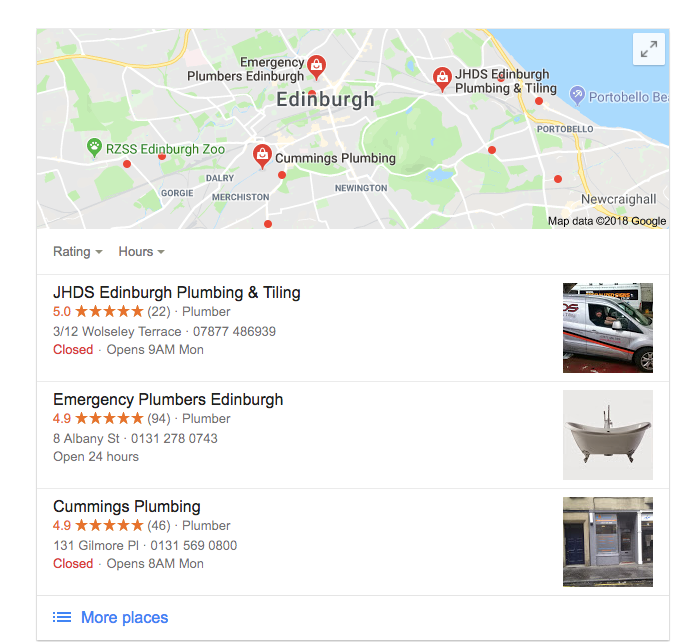 Picking categories is in the information section of Google My Business but we felt it was so important we have dedicated a separate heading just for choosing categories. 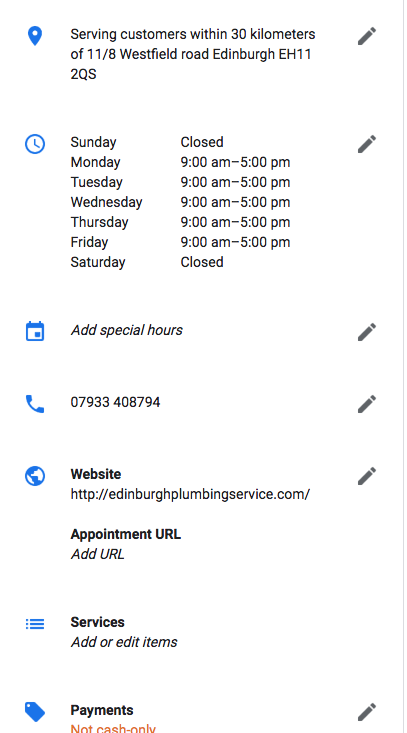 Google My Business allows one primary category to be picked and up to 6 sub categorises. The categories section is used to describe your business and help local searchers find relevant results. The law firms in the top three of map results have picked their primary category as “ family lawyer”. Although there are multiple ranking factors and proximity measures that make up map pack rankings, choosing a specific primary category that relates to your business goes a long way to helping map pack rankings. It is important to pick additional categories that relate to more specific services that your business offers. This can help you gain multiple map listings for a variety of keywords. Do I need An SEO Consultant To Set This Up ? 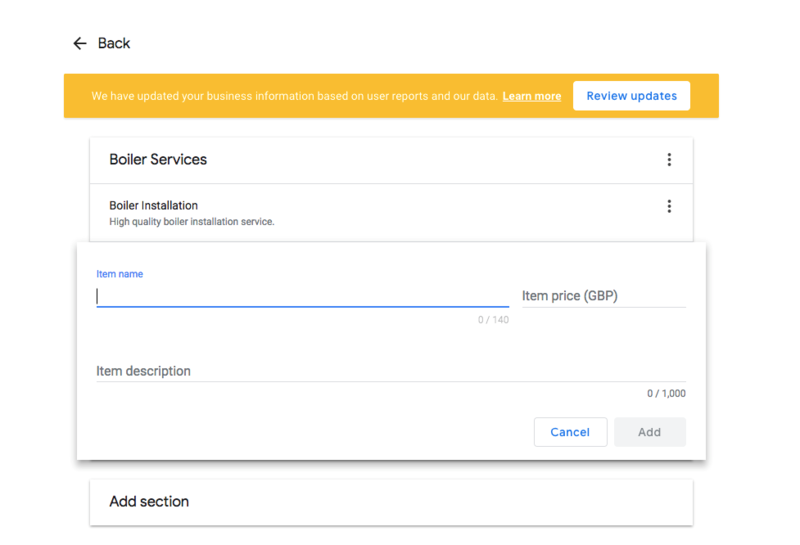 The aim of this tutorial was to show you exactly how to set up and optimise a Google My Business account and most business owners are quite capable of setting and running their own GMB account. However as SEO Specialists we will make sure all the bases are covered and we can integrate a solid GMB set up with a full SEO strategy and make sure you increase your presence online. If you are interested in finding out more about StruanBairdSEO Services please visit my site.